Earn $17.80 in VIP credit (1780 points)What's This? 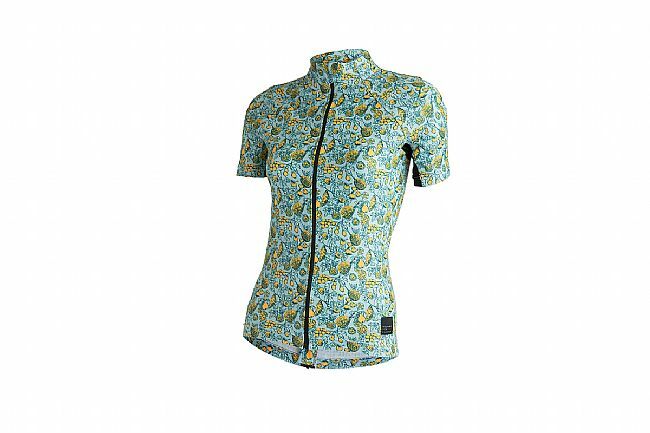 The Fruit Print Jersey from Machines for Freedom showcases the often overlooked side of fruit: the thorny, stubborn rind. Unlike the sweet, juicy peach, Machines for Freedom turned to the fruit not ripe enough to pick; too thorny to touch; too bitter to taste. Femininity doesn't always have to be sweet and soft, and Machines for Freedom took that expectation and turned it on its head, while wrapping it in a fully featured high-performance cut and fabric. 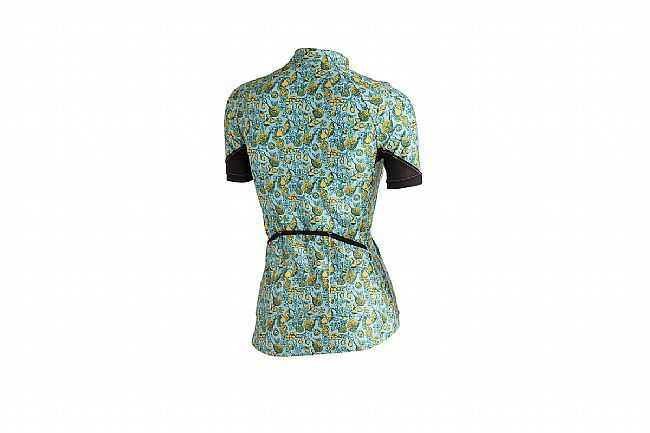 While the eye-catching print brings you in, don't let it fool you: this jersey is meant to perform while on the bike. Featuring a high-performance European fabric for optimal moisture wicking and breathability, the Fruits Jersey also features a full-length zipper and SPF 50+ solar protection. Out back, three rear pockets offer ample storage space – enough for a rolled jacket or other large items in the middle pocket – plus a zippered moisture-resistant pocket for keys cash or cards. High-performance European fabric for best moisture wicking, breathability, and print quality. COLDBLACK® technology reflects the sun's heat for a cooler jersey. 3 rear pockets for ample storage.